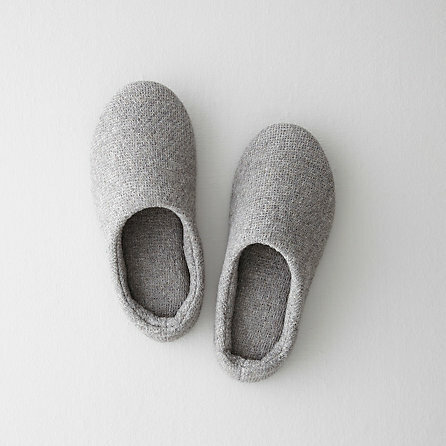 TODAYSHYPE: Morihata Room Slippers: Could these be the most comfy slippers ever? Morihata Room Slippers: Could these be the most comfy slippers ever? With as much money we spend on sneakers, fashion and everything that comes with that mess why dont we also throw a little change to something you might have overlooked over and over again. The Morihata Room Slippers may be without question the end all be all when it comes to household slippers. They feature a cotton weave pattern made of a cotton/wool material that is not only durable but also super luxurious to the touch. The slippers are padded throughout which is mandatory and also feature a foam sole. Show your tired feed some love this time around and go pick up a pair directly here, trust us you will thank us later.